There is a lot of talk about cocktail sauce in our house. I order it A LOT (more than anyone should), and so there is inevitably a good deal of discussion regarding the amount of horseradish and chili in the cocktail sauce. As part of our super fun and easy Sam's Club Dinner, there was a giant bag of frozen shrimp that needed to be incorporated. The shrimp, first of all, were awesome. 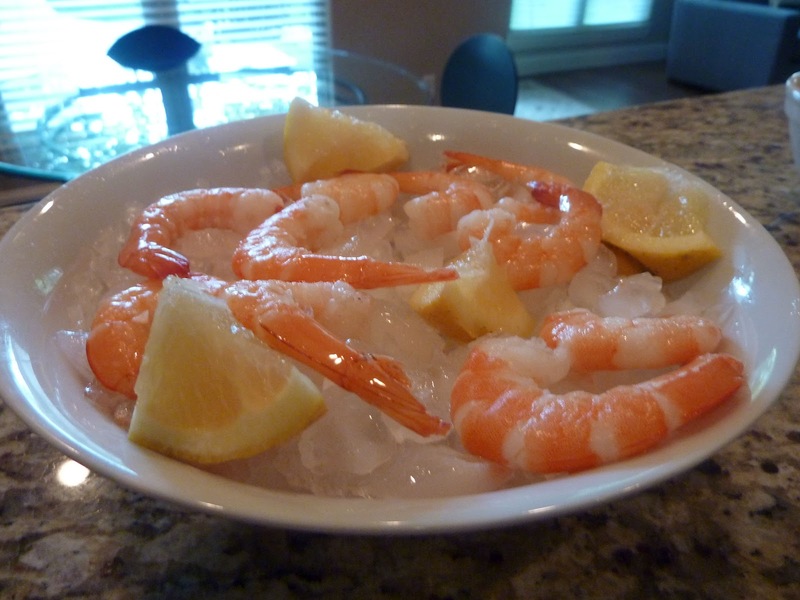 Get frozen, cooked shrimp at Sam's. Immediately. 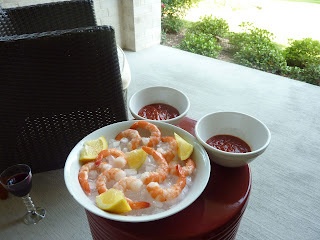 Second of all, the fact that a shrimp cocktail would ensue was inevitable. The sauce, however, was up for debate. What do you do in a situation like that? Have a competition against your husband for the best cocktail sauce. Recipe #1 is mine - very traditional, classic, cocktail sauce - a bit sweeter from the ketchup but has a good bite from the horseradish (add more or less to your liking). Recipe #2 is John's - the addition of dijon was a surprising and yet genius decision. His rationale is that we always eat crab claws with a mustard sauce, so why not shrimp? True John, true. John's recipe is estimated because he is 'too cool for measuring,' so adjust quantities to your liking.